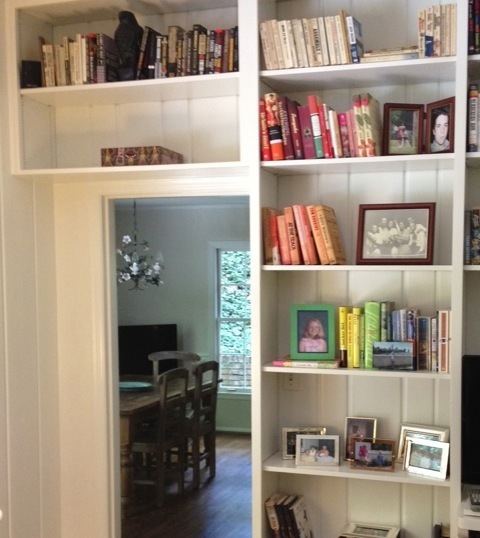 Bookshelves, especially built-ins, can be a big challenge. 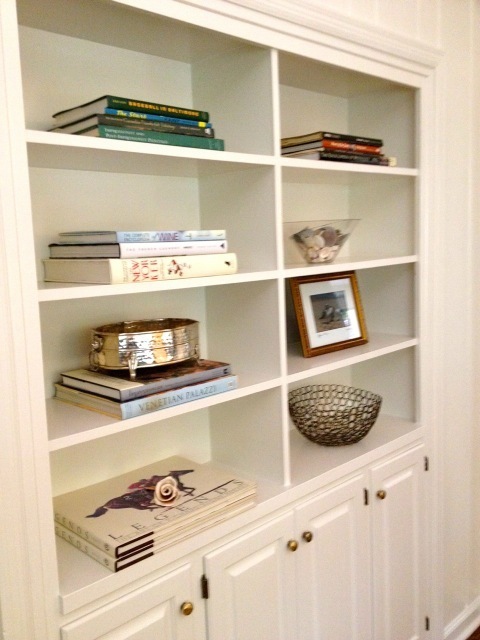 Bookshelves can be the perfect place to not only keep your books but also display some of your favorite pictures and accessories. 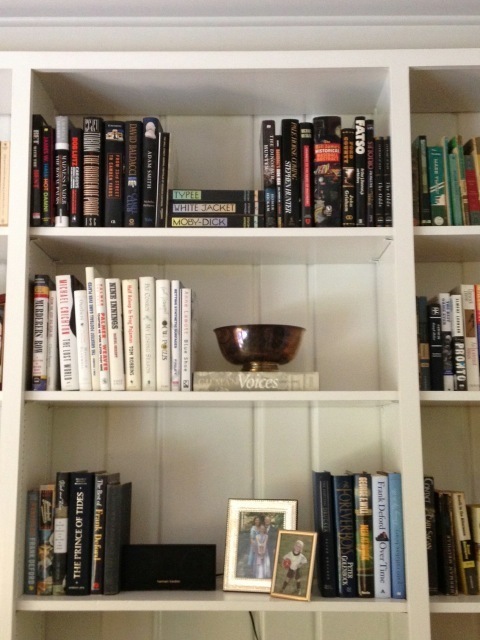 However, often times bookshelves end up looking cluttered and chaotic. 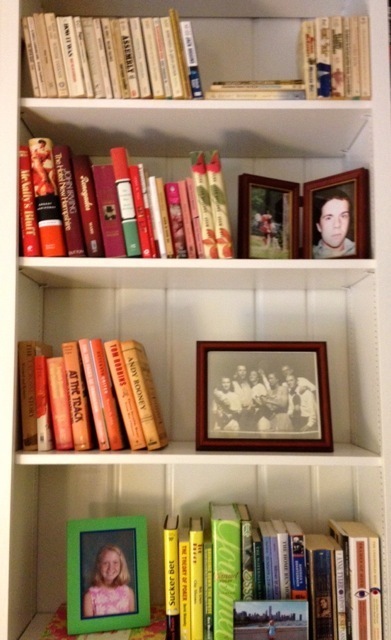 Below are before and after pictures of some built in bookshelves that we redid. 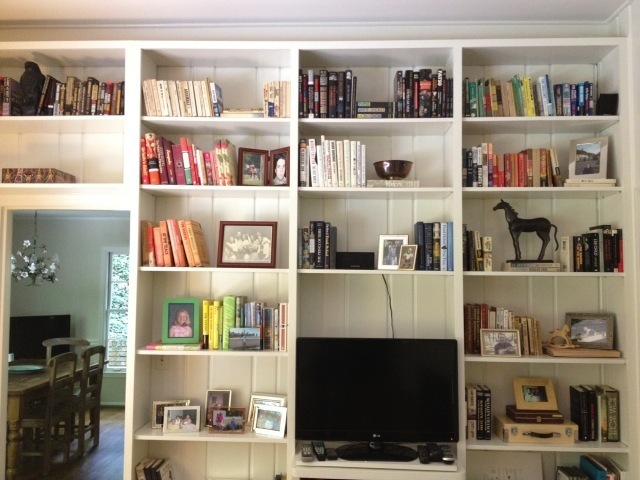 We arranged the bookshelves on the left side of the room by color. 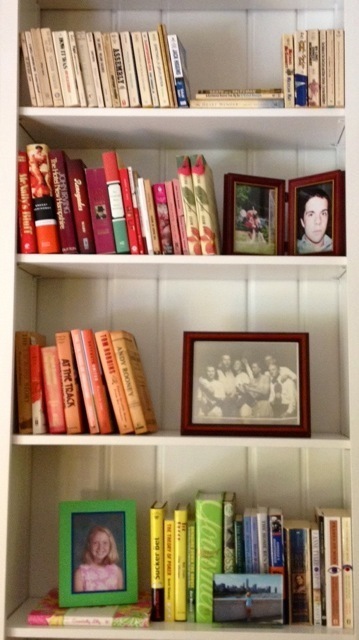 Grouping the books by color helped the shelves look interesting and organized. 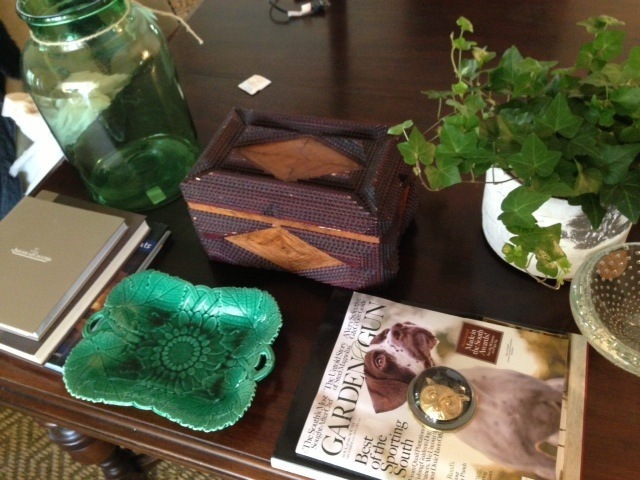 We then choose our favorite accessories (pictures/ bowls/ pottery) and added them in sparingly. 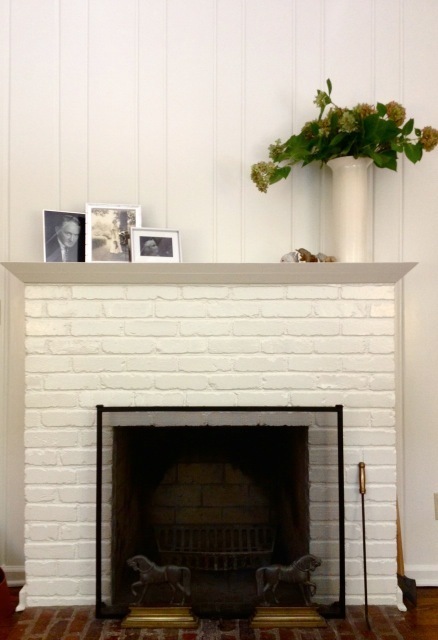 For the bookshelves to the right of the fireplace, we kept it simple and neutral in color as to not distract from the mantle and fireplace. Today, we have a real treat to share with y'all. 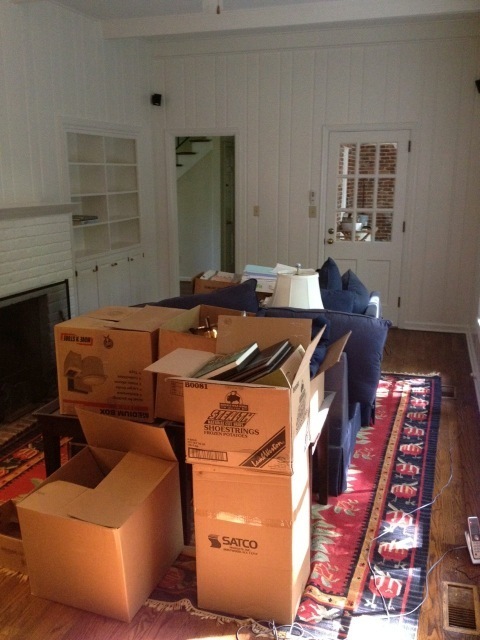 Below are the before and after pictures of a fun Birmingham home we had the privilege to work in. 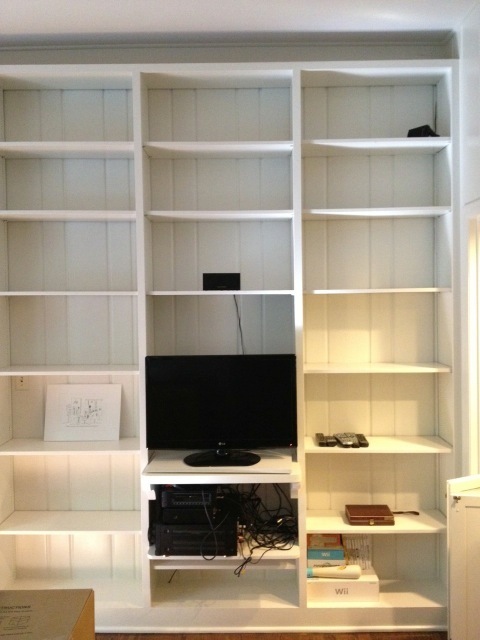 The owner gave us one day to transform a couple of rooms in the home. It was a creative whirlwind! 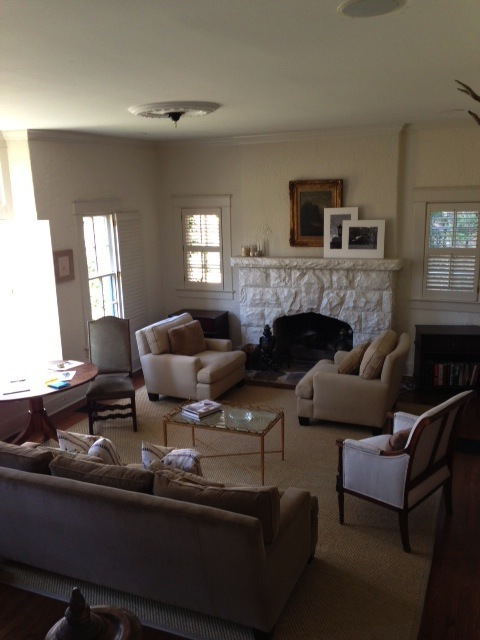 In just a few short hours, we transformed the look of the house by adding new furniture, lighting, accessories, a rug, and color! 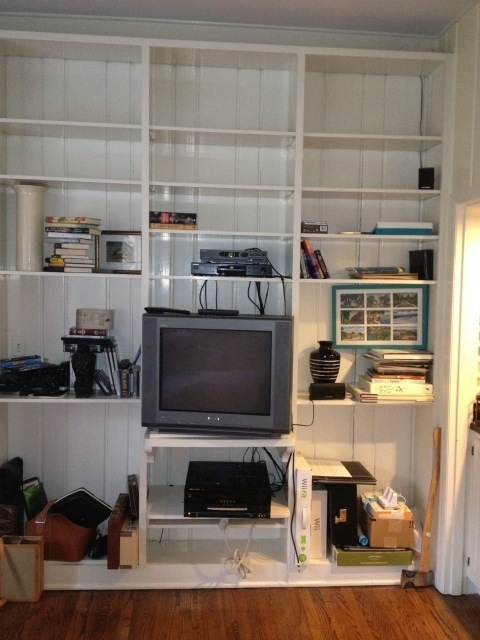 The "design in a day" service allows us to redo a room and stage it with a new look in just a couple of hours. It can be a very helpful design service for people who like the basic elements of their room, but want a new feel or a bit of a change. This sort of process can also help you to see the potential of a room, and perhaps spur on more changes for the room or the home at large. Further, it can also be a great service if you need help getting ready for a party or some sort of event.... 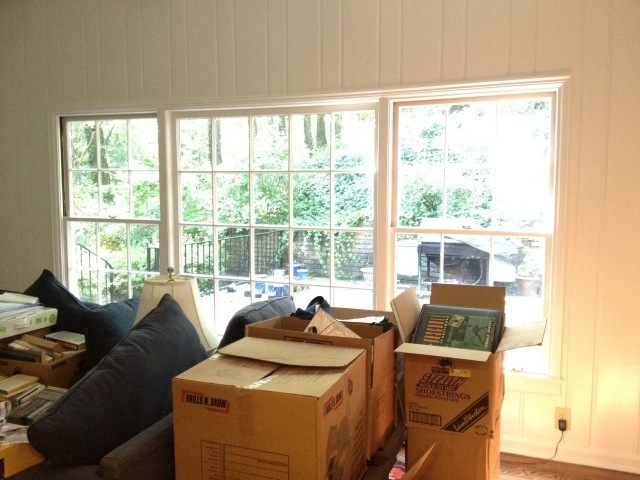 Regardless, isn't it always fun to see your room in a new way? We sure think so! Plants-- always a winning choice! Mix up your pillows-- here we use a light linen color, blue, and an animal print. The combination is clever and interesting to they eye. 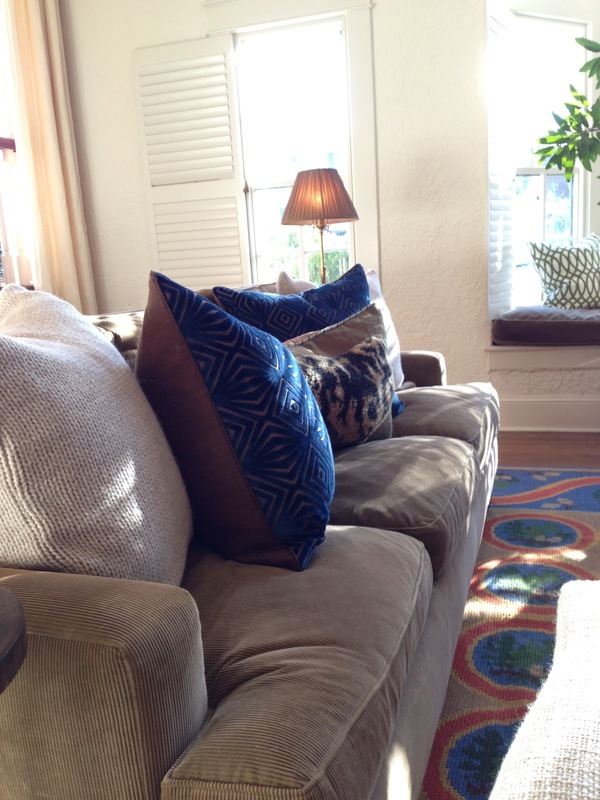 Also notice the size of the pillows, varying sizes of pillows also keeps things interesting. 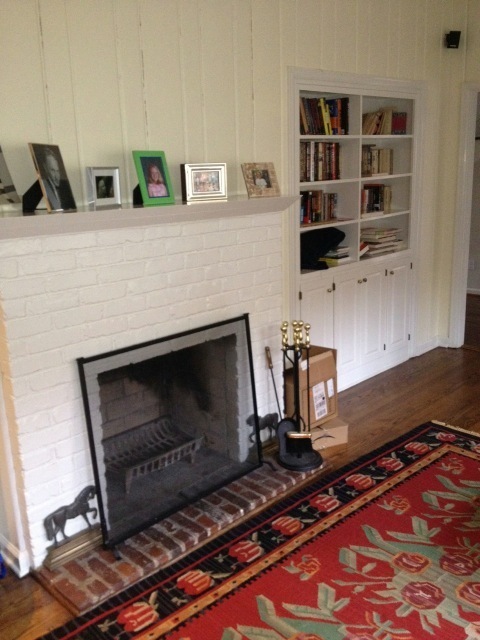 Color palette-- In this picture, you can see a hint of the fun rug we used. You can also see that a lot of what makes this rug fun is the color! Because the rug does have a lot of color, we felt it best to keep the colors on the sofa calm and complimentary to the rug. 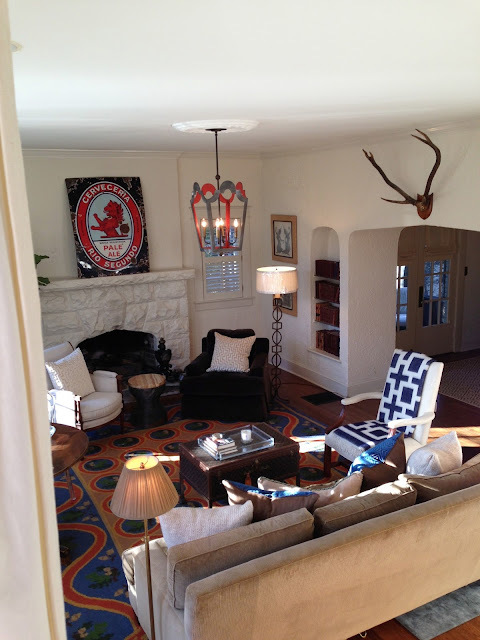 Notice how blue is sprinkled throughout the room: pillows, a throw blanket, and the rug. 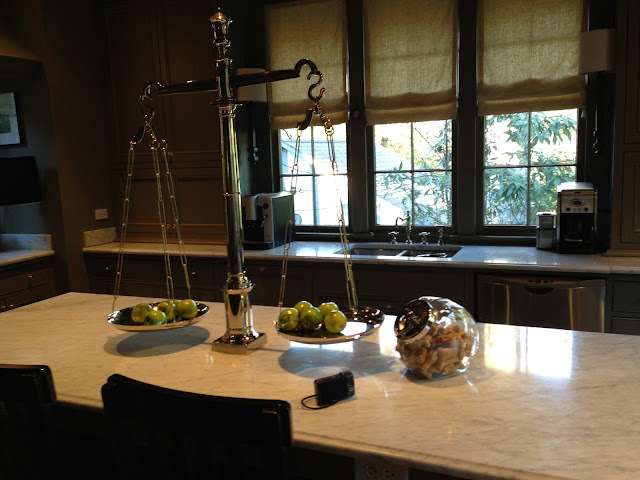 Lucite tray-- we love lucite! 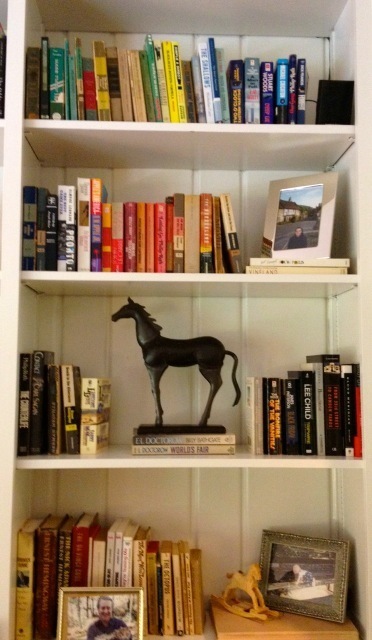 It is a fun, interesting material to add to any room. 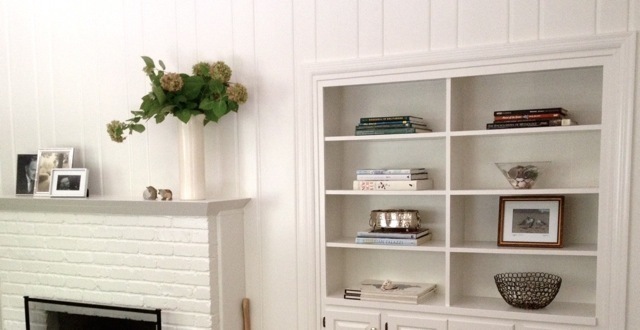 We loved the chance to use a ghost chair in this room. It is unexpected and adds a "cool" material to the room. 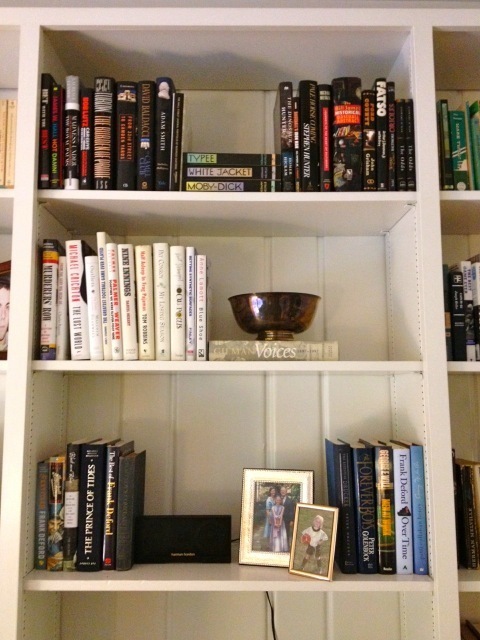 It is also a "light" piece amongst some heavier pieces of furniture. 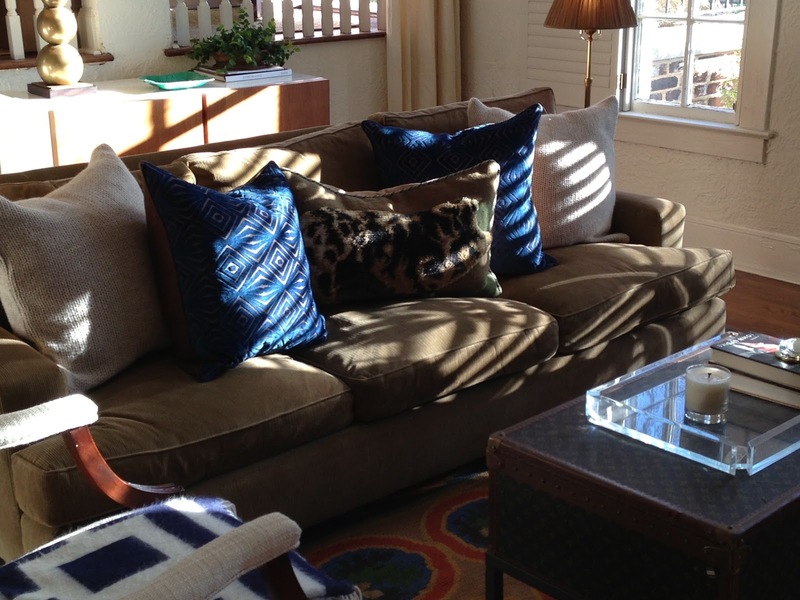 Pillows on the window seat-- We love geometric patterns, and we love how this one works in this room. Buy what you love-- This table is interesting and works perfectly in this spot. 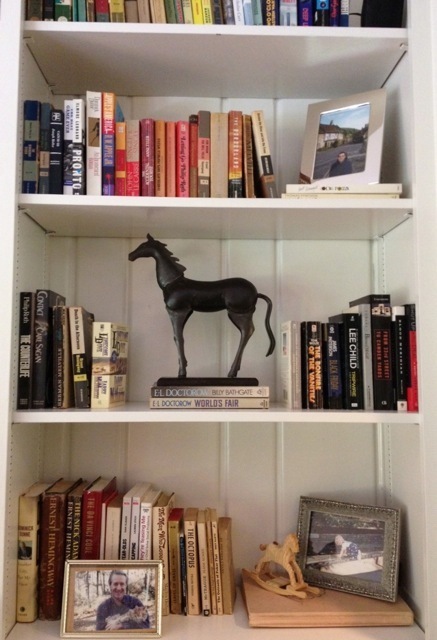 If you love it, you'll find a home for it! 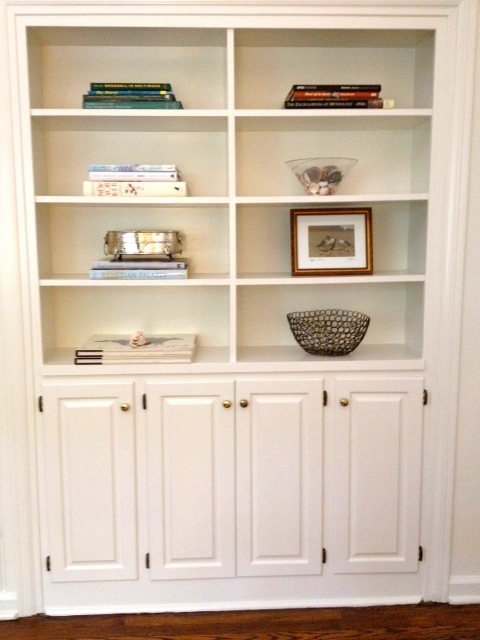 Neutrals -- Because this room does have lots of color, we used neutrals in this corner to express calmness. Use what you own-- If you look back, you'll see these chairs were existing. We added new pillows and moved them in the room.... and they look great! 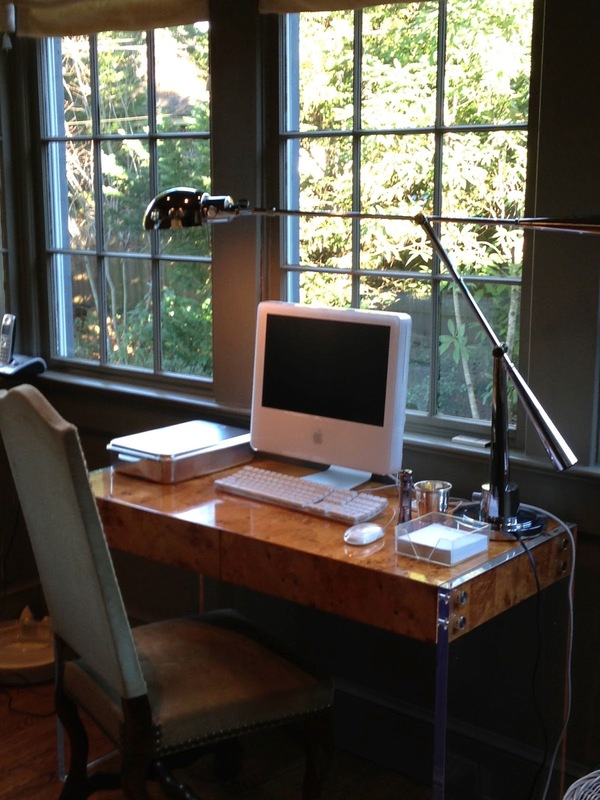 As is proven here, your desk can be more than just a work space. This desk and the clean lines of the space are inviting. 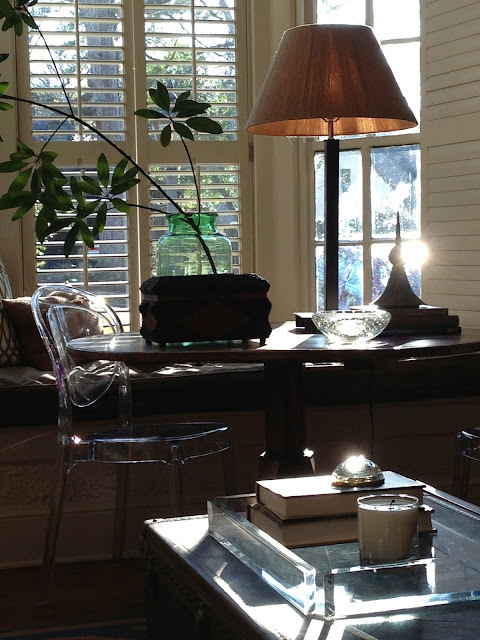 Lighting-- This desk light is practical and adds to the overall look of the space. Sometimes you don't need a large coffee table. 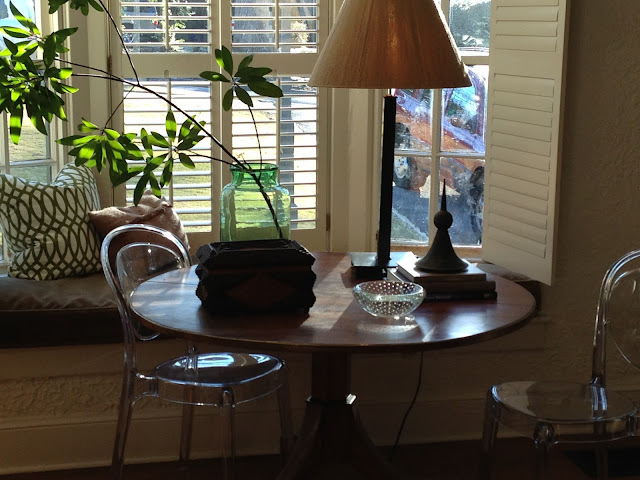 Don't be afraid to mix things up by using a cute round stool, small table, or garden stool. 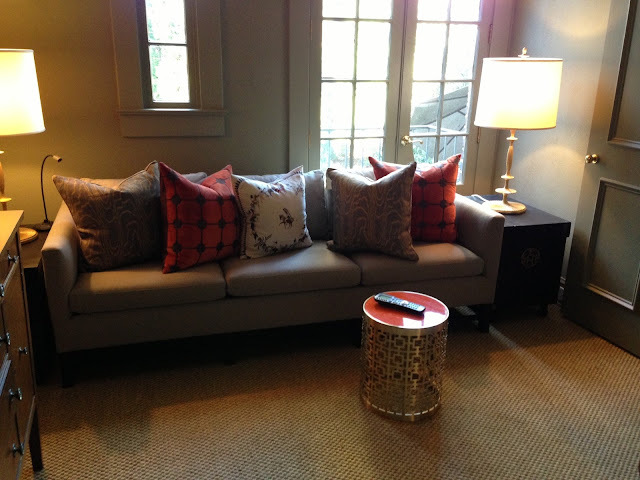 Pillows-- Because this room is much more neutral than the den, we used pillows to add color. 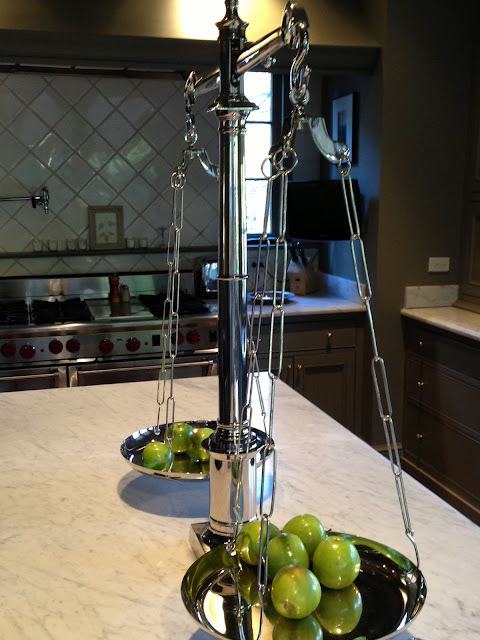 Add fruit or flowers to any centerpiece! It adds color, and just looks good. Today we helped a client find a new lamp for her foyer. We loved all the options we came up with, and wanted to share a few with yall on the blog. Take a look, and come by the shop to see more lamps in person! Today on their website, Elle Decor states that green is the color of the season. 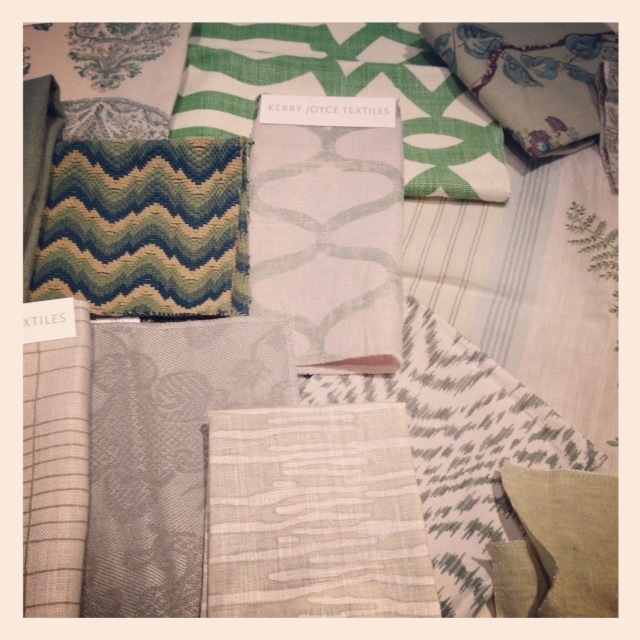 So I wanted to take some time to share some of our favorite green fabrics with yall! We had a blast pulling out all our green fabrics. It really is a wonderful, versatile color. We would love to help you pick out a green fabric for your home. 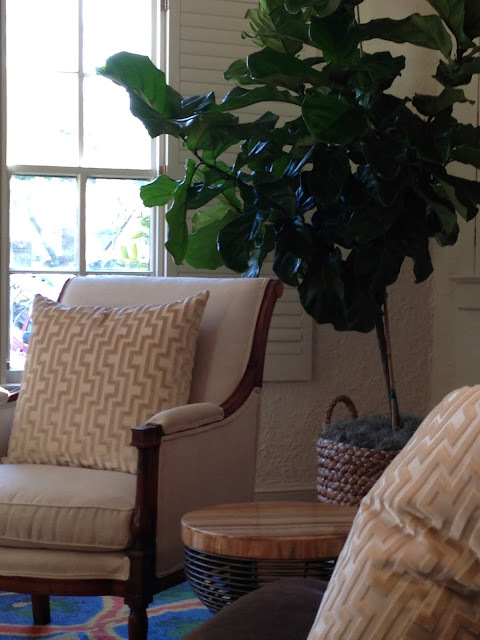 Even a new pillow or reupholstering 1 chair can help update your room and breath life into it!